Power: 3.5X. 80mm. 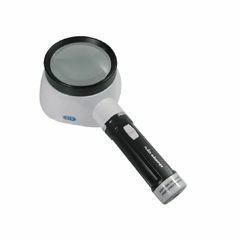 Illuminated Hand Magnifier. Uses 2 "C" batteries. I have always been satisfied with your company and its products. I have referred others to your site as well. Thank you.